Internet Protocol cameras are for robust, remote monitoring applications, like watching the baby from work or keeping an eye on the house when you’re on a trip or vacation. For everything you want to do there is always a camera. IP cameras are really good cameras. And the new software is really good, too. But what is that an IP camera has that has made is so special and a point of review. IP cameras sometimes called network cameras are constantly connected to the Internet. They’re typically used for monitoring purposes – super markets-camera, surveillance camera, security cameras, pet’s cameras, and whatsoever you want to call it. However, they’re being used for much less foreboding purposes. Everyday people use them to check up on babies, monitor their kids and pets, stay connected with work, or keep an eye on valuable property from a distance and near. IP cameras do not require a local machine to be booted up to its functionality interface. All they need is a wireless network or a hard wired connection to a router. Benefits of using IP cameras. There are essentially two types of IP camera operating systems; centralized and decentralized. Centralized IP systems require an NVR (network video recorder). The NVR is a program that records video in a digital format to a hard drive, flash drive, or other storage device. Decentralized IP camera systems do not require an NVR because each of the cameras has built-in recording capability and can record directly onto digital storage media. All data recorded by the IP camera can be accessed from anywhere using Internet access. 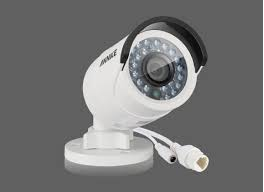 IP cameras has good features and better optics, resolution and frame rates if I am ask to make choices on cameras. IP cameras have features for users at some different physical locations, and multiple IP cameras can be monitored from a single console or dashboard. IP camera has the properties of day and vision with night vision mode which records as clear as though the event is happening at the day. Most IP camera offers a memory space of up to 32GB expandable memory card. Because little infrastructure is required for installation and use, IP cameras offer a more budgetary friendly solution than the traditional closed circuit systems (CCTV).Since I assumed that most homes and organizations already have some type of network in place upon which to install the IP cameras. If a network is already in place for point of sales or alarm systems, piggybacking a video network on these systems is inexpensive. Because these systems can operate regardless of the size of the network, it is only necessary to purchase the number of cameras that are required or that fit within a specific budget. Purchasing monitors is not a necessity since the images can be viewed over the Internet from any computer. Although most of them are static in movement requiring up to four or six to get a full surveillance but at the same time there IP cameras which can go about 180 degrees rotation. Wireless IP cams can be placed anywhere there’s a power outlet. IP cameras often leverage wireless connectivity, two-way audio and Power Over Ethernet (PoE) which allows you to put up the camera anywhere Ethernet cable goes – meaning they don’t require a power outlet. It used to be that IP cameras were more complex and required technical set-up knowledge. You had to open up the Ethernet ports, and assign a static IP addresses and jump a bunch of configuration hoops to get the things working properly for remote viewing. But with the new tech, however, there’s no need to configure IP cameras for specific router set-ups. Slick new software and hardware enhancements make IP cameras just as easy to set-up and use as Web cams. That’s a big deal. Has a Viewing angle fixed after mounting. The fixed IP Lenses can be exchanged. Can be installed indoor or outdoor. Has a very high visibility. Fixed in small dome housing. Ability to adjust field of view with vary focal lens. Made with enclosure for outdoor use. Ability to pan, tilts, or zooms with auto or manual controls. Mostly for indoor use with an operator. Optical zoom from 10X to 26X Visible camera angle. Camera angle is not visible. All camera types have day and night capability. Easily switch to night mode with infrared capabilities. Offered for all camera types. Requires higher bandwidth and storage space. searching for IP surveillance cameras for personal or professional use?the em is designed to be highly flexible, to fit into your simple security purposes or to monitor absolutely every business transaction, an IP surveillance camera has a variety of uses that it can be monitored from any location. Unlike the previous closed circuit alternatives, IP cameras connect into an existing network for ease of monitoring and examining recorded data. The images from IP cameras are digitized, therefore the data can be easily reviewed, saved, and has a high level of detail. ← Your Digital Fingerprints On The Internet. Nowadays we need such camera of remote-controlled type. It will be flexible for us to keep an eye our home while we are working at office or shopping at mall..